Western Rubber Products strives to consistently meet or exceed customers’ expectations for product quality and performance. From initial design through manufacturing, WRP diaphragms are made to be the highest quality. Through each phase of manufacturing we have created processes that insure that the products will exceed our quality standard. Western Rubber Products’ involvement with ISO has been instrumental in leading the company to a commitment of maintaining and continuously improving their Quality Management System. This system controls all the processes and interactions involved with the production of over 80,000 air brake diaphragms each week – over 4,000,000 annually – including everything from order entry through shipping fulfillment. 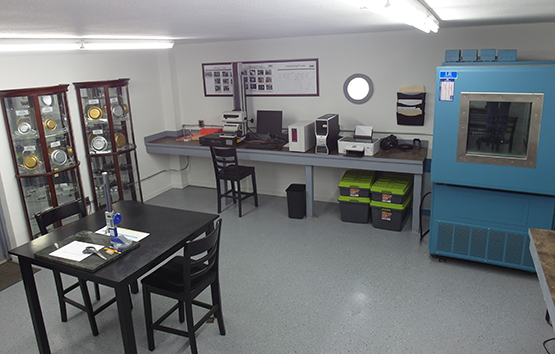 The Western Rubber Products Test Lab is well-appointed, capable of administering tests that emulate the various conditions that will challenge the air brake diaphragms when they are put into use. WRP diaphragms are tested to exceed 1 million cycles without a failure and over 2 million for fatigue limitations. Insures the safety of everyone. Find out more about how WRP ensures the highest quality.